Oy Meridata Finland Ltd is a privately owned, Finland-based company that designs and manufactures systems and software for high resolution marine geophysical surveys. The company's head office is located in Lohja, Finland, and the marine operations base is situated in Inkoo, Finland. 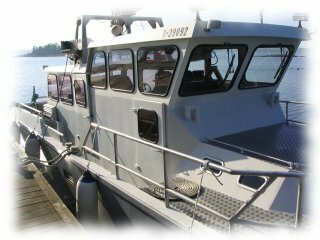 The survey vessel R/V Meridata is operational in R&D, product demonstrations and system operators' training from May to November each year. Since its foundation in 1977, Meridata has specialised in development of acoustic survey instruments and systems for seabed research. Currently, Meridata's exports account for more than 90 % of the company's total sales. A considerable portion of our revenue is invested in further development and research of hardware and software technologies in the field of underwater acoustics. Meridata's customers are private and governmental organizations active in hydrographic, marine geological, geophysical and environmental surveying in offshore, coastal as well as inland waters. The majority of our systems are exported to countries in Europe, Asia and the Americas. In each of these areas, Meridata is trusted by distinguished professionals in their respective fields. Meridata has an impeccable record of successfully completed deliveries to demanding projects and clients. Our systems have been proven from the Antarctic to the Arctic, and most of the world's seas in between. 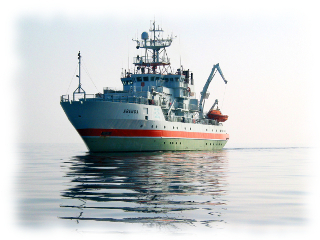 Right: Aranda, a research vessel of the Marine Research Centre of the Finnish Environment Institute, equipped with Meridata systems for high resolution acoustic mapping of the seabed and sub-seabed.